Welcome to the First Day of our Holiday Book Blog Party! 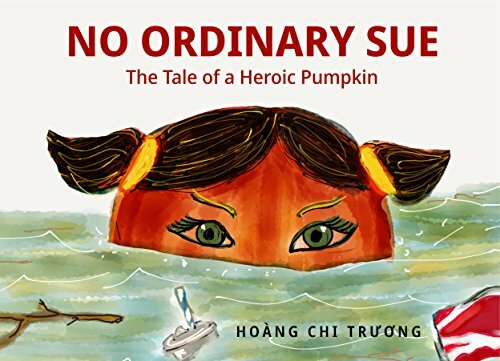 Hello, my name is Hoang Chi Truong, author of my memoir, TigerFish and the upcoming children's book No Ordinary Sue, (Hint! My friends call me Chi, pronounced Chee). I’m the host of the first annual 2017 Holiday Book Blog Party with four fellow authors this year whom I fondly call the TigerFish Fab Four or #TigerFishFabFour. I'm also the first featured author in the lineup to share with you my author's journey and books. If you are reading this, I believe that you're interested in authentic engagements and meaningful connections with your authors to have a deeper understanding of their works. I know I do. I look for any opportunity to learn more about my favorite authors as people and not just a professional. To this point, I'd like to share my journey as a new author with you. My education and professional life before TigerFish didn’t prepare me for my new author’s venture. I worked in technical fields, starting out in Computer Drafting & Design then transitioned into Geographic Information Systems (GIS). I resigned a fulfilling and rewarding position at the California's Office of Emergency Services, or Cal OES, in June of 2016 as the Division Chief of GIS for Disasters Response. This career change highlights the importance and urgency with which I must share my Vietnamese refugee story in our current political climate for refugees and immigrants. In January 2017, my HuffPost article "What it means to be a refugee" shockingly indulged me with my first taste of overnight online success. I’m hooked on the readers’ feedback, accolade, and endorsement ever since. I’ve been honoring my writing voice and focused on honing the craft of writing for my audience. I also worked tirelessly to crack the marketing code to boost visibility for TigerFish and its message. It's a double-edged sword with my HuffPost experience. While it helped me understand an infinitesimal fraction of what it takes to get noticed in the new writing era for authors, it also makes me want to learn more. Not only that I’m a new author, but I am also an independently published author which means that I have a steep learning curve in one of the most competitive markets. I was on my own to look for editors, copy formatters, cover designers. I continue to be my own marketing department, persisting in cold calling many news outlets until the Sacramento Bee finally wrote and published my story five months later. Ken Burns' Vietnam opens old wounds, offers new lessons for Sacramento Author. I also successful worked with PBS KVIE Studio Sacramento for the Insight interview with Scott Syphax. I reached out to schools, bookstores, and libraries to arrange book tours and promotions. And I still continue to fumble on social media while fine tuning ways to connect with my readers for a authentic connection. If you're an aspiring writer, I highly recommend the websites that I found most helpful which I continue to tap into their resources for writing and marketing wisdom. Join these online writing communities, and you'll discover your group of author friends to learn and collaborate with, like the ones I'm featuring in this year's Holiday Book Blog Party. For those who haven’t found your writing voice, continue reading as many books as you could, especially outside of your favorite genres. Writing for Social Media posts count too! In fact, it takes more time to craft persuasive and concise copy to reach this audience and capture their attention within only a few seconds or lose their readership and interest forever. Do not, and I emphasize on this point, let your negative inner voice, or anyone else's to discourage you from your writing dreams. Please keep your unique voice because that is what readers crave, your uniqueness, honesty, and authenticity. My story is not a sob story, nor an inspirational pep talk because the writing life isn’t for everyone, but it’s for me, and I own my mistakes, trials, and tribulations as well as victories, however fleeting or enduring. I get to exercise my artistic freedom as well as choosing to have a low overhead, inventory and costs using the Print-On-Demand features with Amazon, along with its many surprise perks (I’m not an affiliate - Only sharing my experience). On two separate occasions, I woke up and discovered that they have promoted my book, not once but twice, without notice or explanations, or for how long. These price discount promotions boosted my books sales while I still enjoyed the full royalties. Friends also told me that this same powerhouse merchant recommended my books to them while they were browsing online in the books section. As an independent author, I get paid monthly, choose my book cover, and I promote TigerFish, as I wish, even to its detriment, because I flailed and failed at times as a newbie. But I'm learning an enormous amount from many gracious and helpful people in the community. Again, it’s not for everyone, but I’m having the time of my life, working like there’s no tomorrow. When I'm on a creative roll or a deadline, sleeping can be such an inconvenience because my body needs rest but my artistic mind revolts, ”Hey hey, don’t stop now. We're being productive!” Do you get me on this, authors out there? The pre-launch weeks for TigerFish was one of the most spiritual time of my adult life. I publised TigerFish on a shoestring, learning as I went, sweating bullets, banging out words on the keyboard with white knuckles, my body glued at my desk that felt like a hermetically sealed pressure cooker. Miraculously, I prevailed and met my publishing deadline, thanks to my community. Authors do not exist in a vacuum, any success I have as a new author, I will share the credit with my early supporters, family, and friends because they also helped me throughout the process. Building an audience with a zero following seemed insurmountable, but I didn’t have to do it alone, others believed in my message and graciously supported me. The most difficult challenge for me was to learn to ask for help! On this note, I invite you to my blogs on Books and Writings where I shared many lessons learned as a new author. I would like to continue our connections after this Book Blog Party ends on the subjects of Books and Writing or Minimalism. What a year! 2017 marked many personal and professional milestones including many “firsts” as a new author. I can recount the excitement of getting my first email subscriber, first book pre-order, first TigerFish check payment, first time holding my proof book and signing a paperback for a reader. I remember reading the thoughtful email from an U.S. Vietnam Veteran that melted my heart, or that bittersweet feeling I got along with the five-stars reviews from readers I’ll never get to know. Oh, and let’s not forget my first 1-star rating on Goodreads without any comments. There were many memorable meetings with readers, but two most moving events were at my alma mater Hoover High School and Fresno State. It’s an honor to return as a confident and secure adult who can give back to the schools that nurtured me to the person I’ve become professionally. I will humbly admit that TigerFish is a personal achievement that I am proud of, but it isn’t an overnight success. It’s my life experience and a culmination of a lifetime of love for reading and writing, starting around eight years old. I happily immersed myself in that literature and fantasy world. My love for reading never wavered even as I struggled to learn English when I came to America as a Vietnamese refugee in 1975. I’m grateful that my parents raised me within a traditional but loving family with stability even when the world around us was not during the Vietnam War. They role modeled optimism, can-do attitude, and showed me how to work on becoming confident with continuous grit and elbow grease. I was born into a military family in South Vietnam in 1962. We fled at the end of the war to avoid political persecution since my father was a Colonel and Commander. Through a long and arduous journey, we found our new home in America. As a teenager, I struggled to negotiate the culture clashes but eventually achieved my American Dream. Because my family and I found freedom and built our successful lives in the US, I feel that it is my moral obligation to advocate for refugees, immigrants and the marginalized as I have experienced in my younger adult years. I originally wrote TigerFish in 1992 only for my family, but the Syrian Refugee Crisis gave me pause, and I’m compelled to share my story to humanize the refugee experience. I wanted to connect the word “refugee” to a face, a child, a family, and their fight, just as we did for survival in Vietnam and assimilation struggles in America. We, as human beings, have more in common than in our superficial differences. On the contrary to what I’ve heard people say about people in war-torn countries, we do mind dying; lives are sacred to us. We want to live and live in dignity. We want to belong and contribute to our community, and to be heard and represented. These reasons justified my sharing a deeply personal memoir. My mission is to advocate for refugees by speaking in schools, universities, and the community at large to raise awareness on the refugee's plight and sufferings. I also encouraged the audience to capture their family histories and stories for books or Oral History Projects because History books do not tell our sides of the stories. Read more about it HERE. 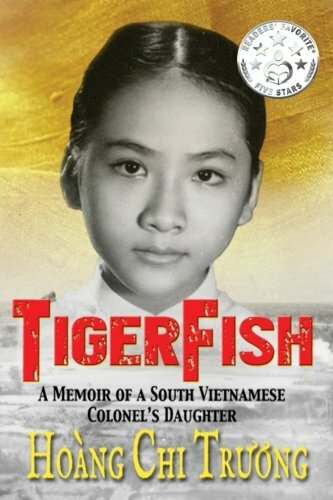 I invite you to learn more about my childhood in Vietnam and coming of age in America as a South Vietnamese Colone’s Daughter in TigerFish. You can read the Editorial Reviews and sixty 4.9 stars reviews on Amazon and forty reviews and ratings of 4.4 stars on Goodreads.